Northern New Jersey Junk Removal Home, office, garage or basement, we have the equipment and personnel to handle any job. For cleanout, we work patiently with the family to figure out what is rubbish and what is imporant to keep. NO JOB IS TOO BIG OR SMALL! We're available 24/7 for emergency removal. We are licensed, bonded, and insured for your protection. If you have junk cluttering up your home and you don’t want to handle your own junk removal, contact Mike’s Junk Removal and House Cleanouts for professional garbage removal. It does not matter if it’s a straightforward basement cleanout you need or a complete house cleanout – the rubbish removal pros at Mike’s Junk Removal and House Cleanouts are able to get the job done. Not only is our service outstanding, but you will find that our junk removal price is exceptionally competitive. Mike’s Junk Removal and House Cleanouts specializes in junk removal from the property surrounding your residence, along with offering complete interior house cleanouts. Contact our team to break down items like old swing sets your kids have grown out of and remove them from your property. Our exterior cleanout service additionally includes removing old fences, decks, and storage sheds, which are not merely unsightly, but also introduce safety risks for your family. 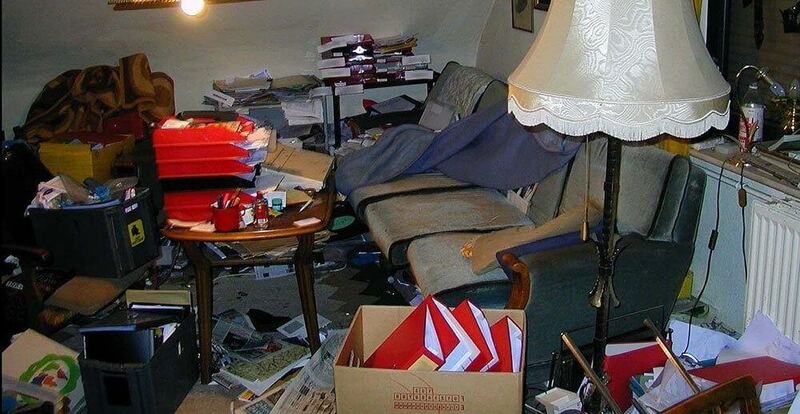 A house cleanout is an especially hard task after the death of a family member of loved one. For an estate cleanout service that is compassionate and caring, contact Mike’s Junk Removal and House Cleanouts. We allow you to set the pace, while ensuring the junk pick up process runs efficiently. As a quality service for estate cleanouts, Mike’s will make certain you have the time and space you require while still supplying you with efficient junk removal.